Built in 1905, this John Montgomery glider had tandem wings. It was flown from Aptos California in rather an unorthodox manner suspended from a hot air balloon which rose to 4,000 ft. altitude. The glider was cut loose and glided to the ground. There were several successful flights lasting up to 13 minutes in duration. The last flight ended in tragedy due to an entanglement with the balloon ropes damaging the glider causing it to plunge to earth. 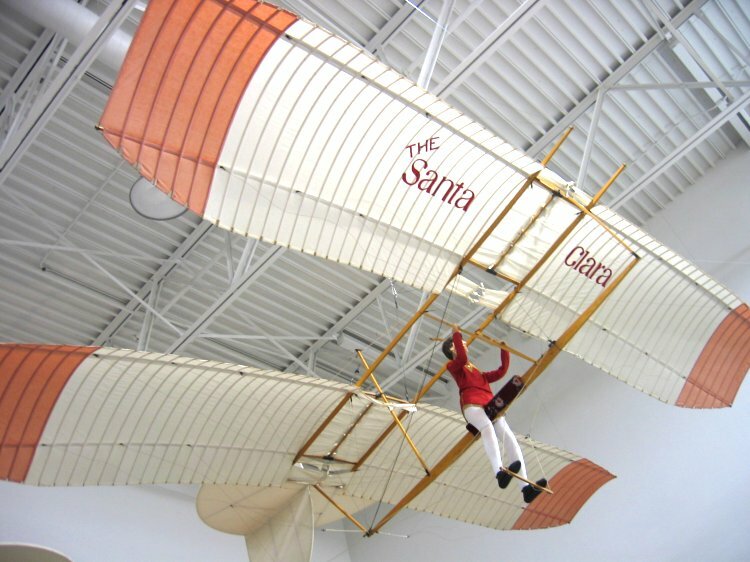 Daniel J. Malone, one of Montgomery’s collaborators, a pilot and acrobat, was flying the Santa Clara at the time and was killed.